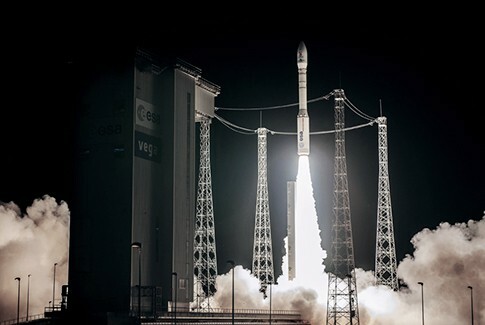 On its 11th launch of the year, and sixth flight overall of the Vega light launcher from the Guiana Space Center, Arianespace will orbit the LISA Pathfinder technology demonstrator for the European Space Agency (ESA). 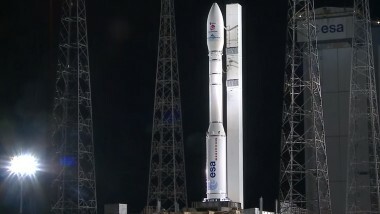 This is Arianespace’s seventh launch of the year overall for European Governments, this time focusing on space research and science. 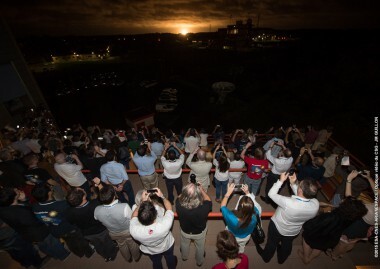 It once again reflects the company’s assigned mission of ensuring independent access to space for Europe. 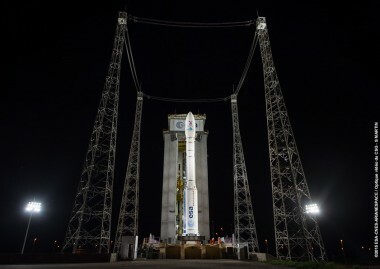 Arianespace’s third launch of the year on Vega, marks the operational ramp-up of this light launcher, as well as its ability to sustain its nominal annual launch rate. 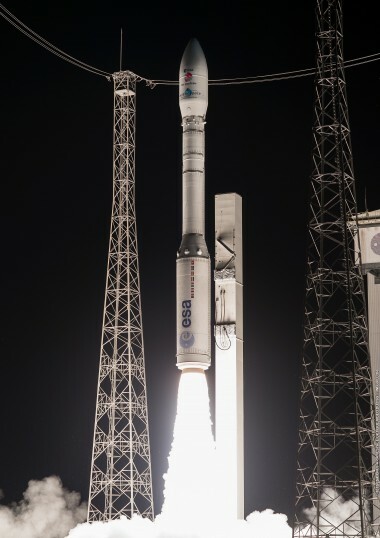 The Vega development phase (VERTA) is concluded with this sixth flight, because it has performed the full range of missions: into a ballistic trajectory (IXV); a low Sun-synchronous orbit/SSO (Sentinel 2A); and a transfer orbit to the L1 Lagrange point (LISA Pathfinder). The Vega launcher program is now fully operational, and Arianespace is gearing up for the future, which includes the active development of the Vega C project. Developed by ESA, LISA Pathfinder is a technology demonstrator that will pave the way for future spaceborne gravitational-wave observatories. Gravitational-waves, the “ripples in the fabric of space-time” predicted by Albert Einstein’s general theory of relativity, are produced by massive bodies in acceleration. However, despite the attempts of ground-based experiments to detect them directly, gravitational waves so far remain elusive. 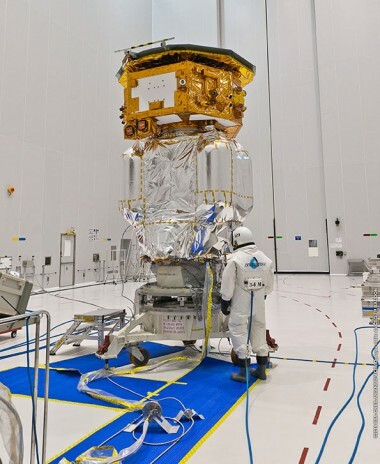 LISA Pathfinder is a first step in observing these perturbations; in effect proving the innovative technologies needed, rather than detecting the waves themselves. The spacecraft creates the most “silent” place in the solar system, testing whether it is possible to put two test masses into a near-perfect gravitational freefall. If the two bodies are moving under the effect of gravity alone, only a gravitational wave passing between them would change their separation – and this is what will ultimately be monitored. 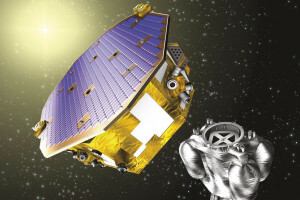 LISA Pathfinder comprises two modules: scientific and propulsion. 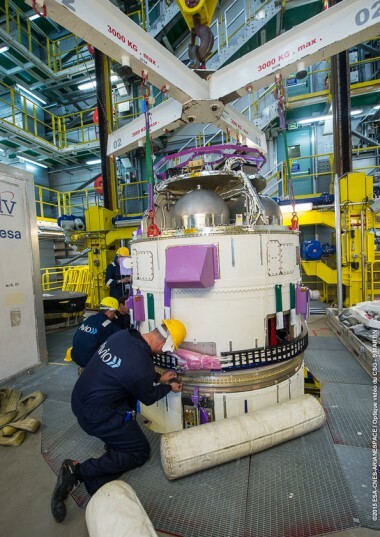 After separation of the propulsion module, LISA Pathfinder will test the instruments needed to reduce external influences on the test masses and measure their relative motion: inertial reference sensors, high-precision laser interferometer, Drag-Free and Attitude Control System (DFACS) and proportional micronewton thrusters. 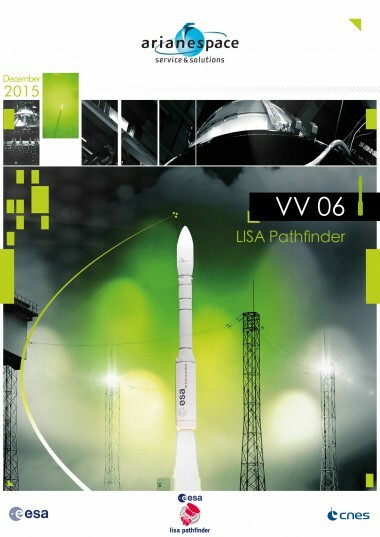 LISA Pathfinder is the 16th satellite to be launched by Vega. 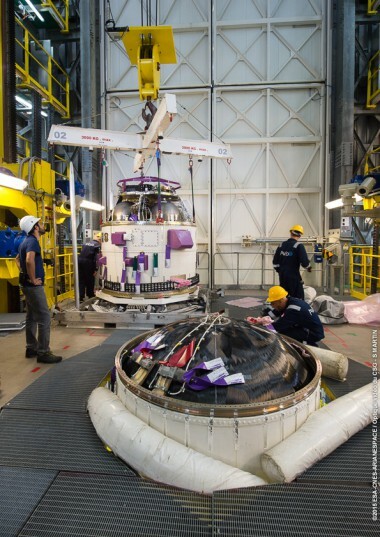 It also is the 114th spacecraft built by Airbus Defence and Space (and predecessors) to be launched by Arianespace. 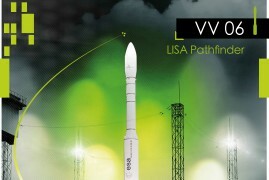 The company’s current launch manifest includes nine other satellites from Airbus Defence and Space, along with the special order from OneWeb (over 600 satellites). 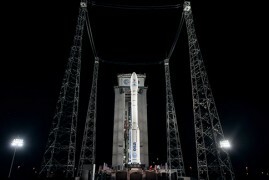 The sixth Vega success supports European science with launch of the LISA Pathfinder space probe	Arianespace marked another mission accomplished for science as its light-lift Vega vehicle successfully launched Europe’s pioneering LISA Pathfinder technology demonstrator – which will study the ripples in space-time predicted by Albert Einstein’s General Theory of Relativity.